Specially designed for the iPhone 8 plus. Charging Port and buttons are still easily accessible, and there are now forward facing speakers for superior sound quality. 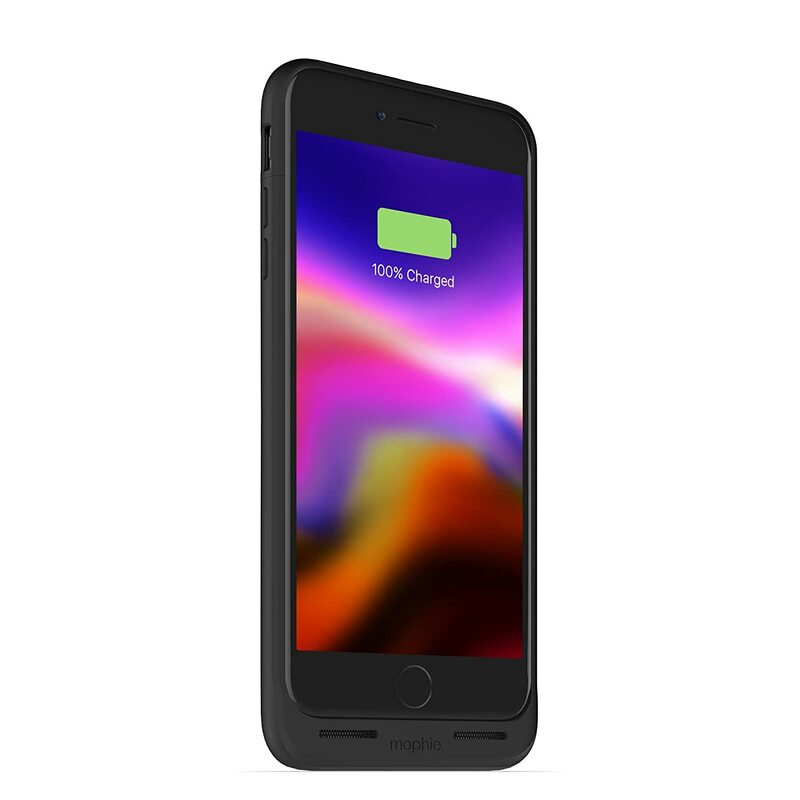 The 2, 420mAh battery case provides 60% more charge. Enjoy more talk time, music, movies, and internet surfing. See how much charge is left with the LED light at the back of the phone. 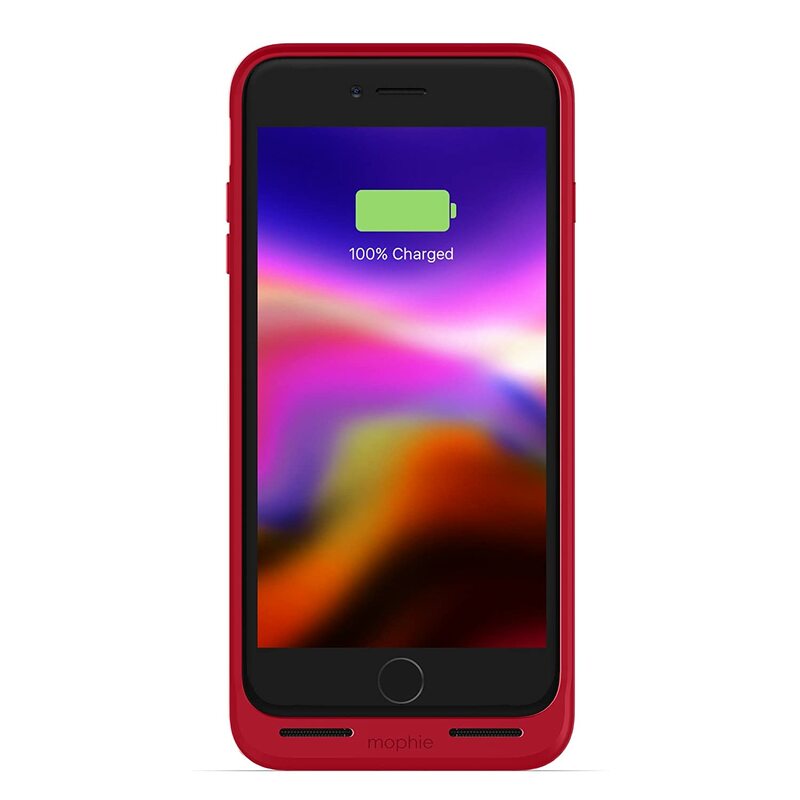 Special priority is given to the phone when charging, and you can sync up with a computer or laptop without having to remove the entire case. I was a little worried about the phone getting stuck in the charger due to a couple reviews here. I have an iPhone 8 Plus. But, I’m not having any problems. What you have to do is remove the top portion of the case. 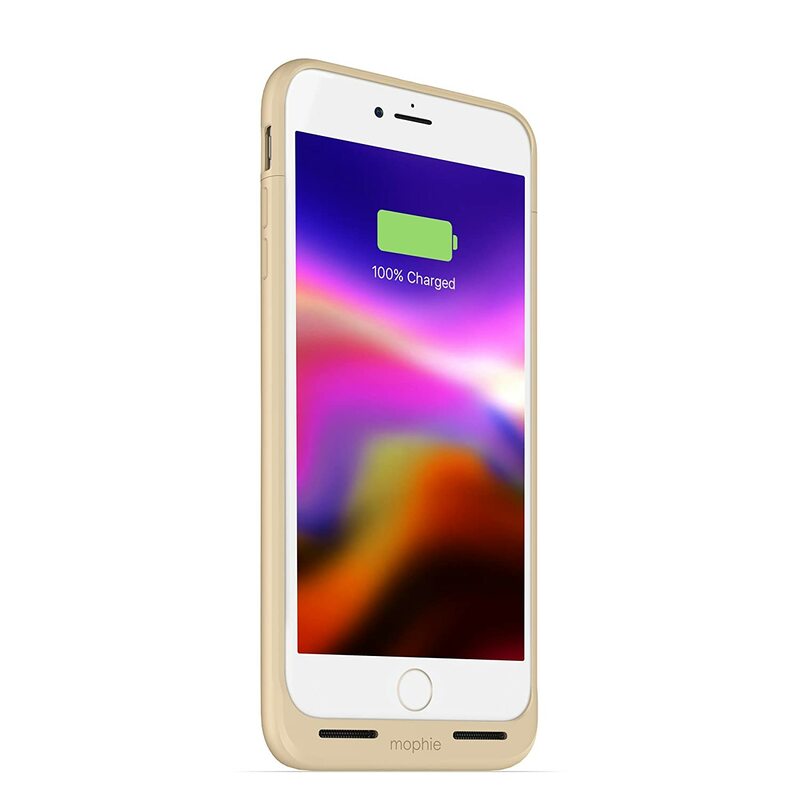 Then, hold the phone on the top and the case on the bottom WITHOUT SQUEEZING THE SIDES, because that will obviously squeeze the phone inside the case and it won’t come out. If you pull the phone and case (again, hold case from the bottom without touching/squeezing sides) in opposite directions the phone slides out no problem. Hope this helps someone! So far I’m loving the case. 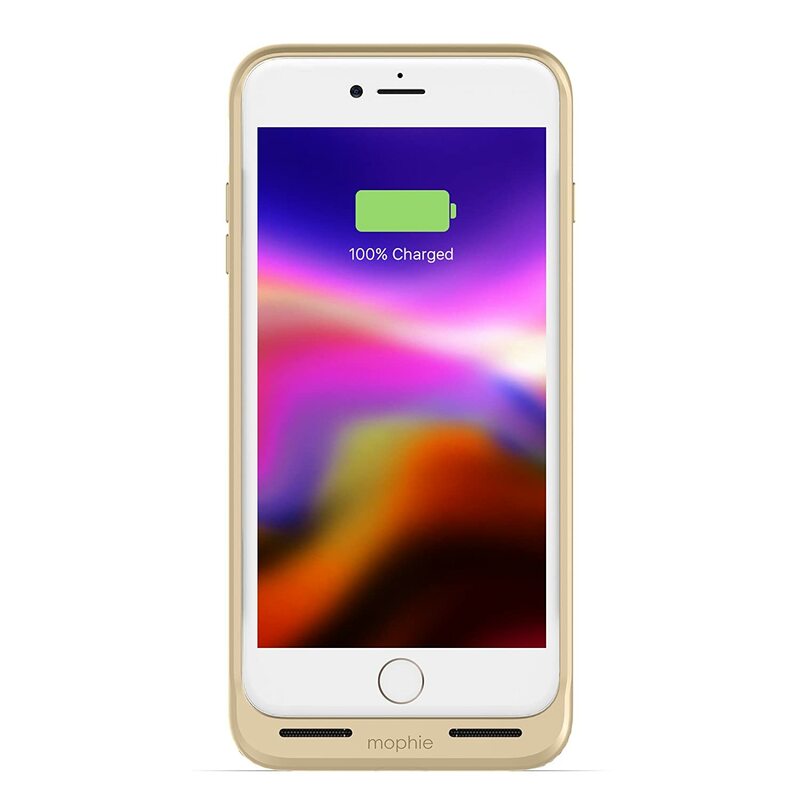 I've used Mophie's for years and absolutely love them! 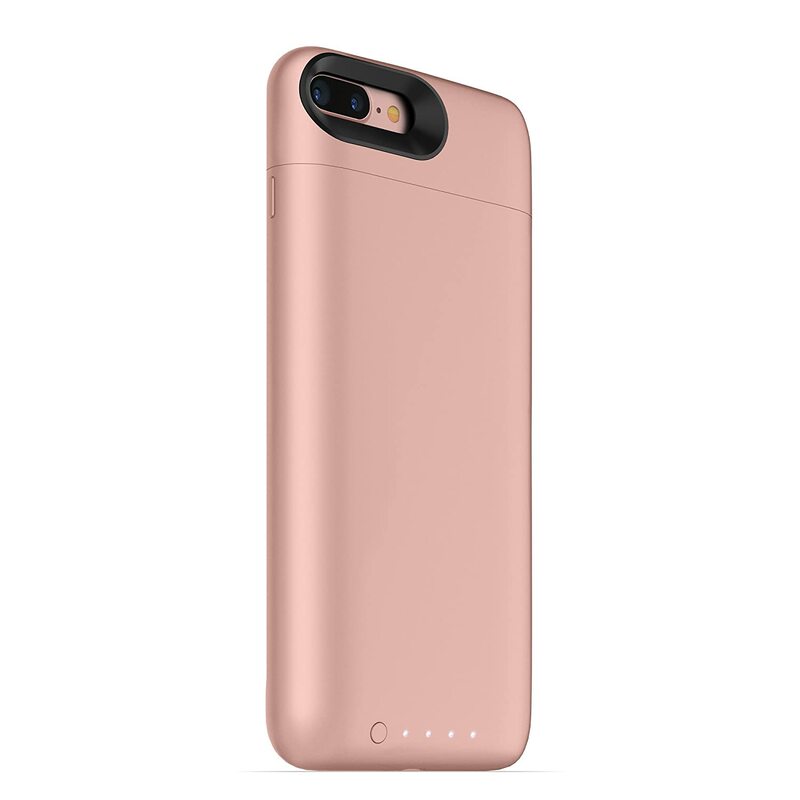 This one though...for my new iphone 8+ didn't CHARGE my phone and fit so tightly that getting it off was almost impossible. Why oh why would a great company like Mophie make this useless charger? Mophie was recommended by my company IT department guy, and as a battery backup and case it seems fine - does the job I require, which is to make sure my iPhone keeps working through the occasional extended day of heavy use. Meanwhile, I currently have to remove the case when I need to work with earbuds. And, as another reviewer complained, this case is quite difficult to remove! DO NOT BUY!!!! 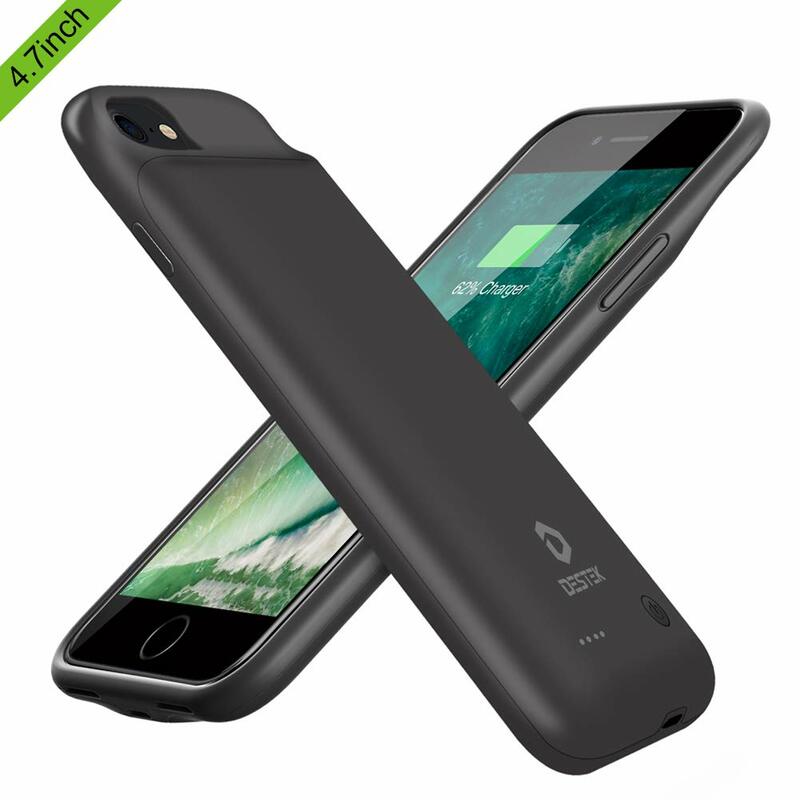 I bought this charging case because I work 12 a day and my portable charging case was to big to carry with my phone to charge it. Worst mistake of my life. 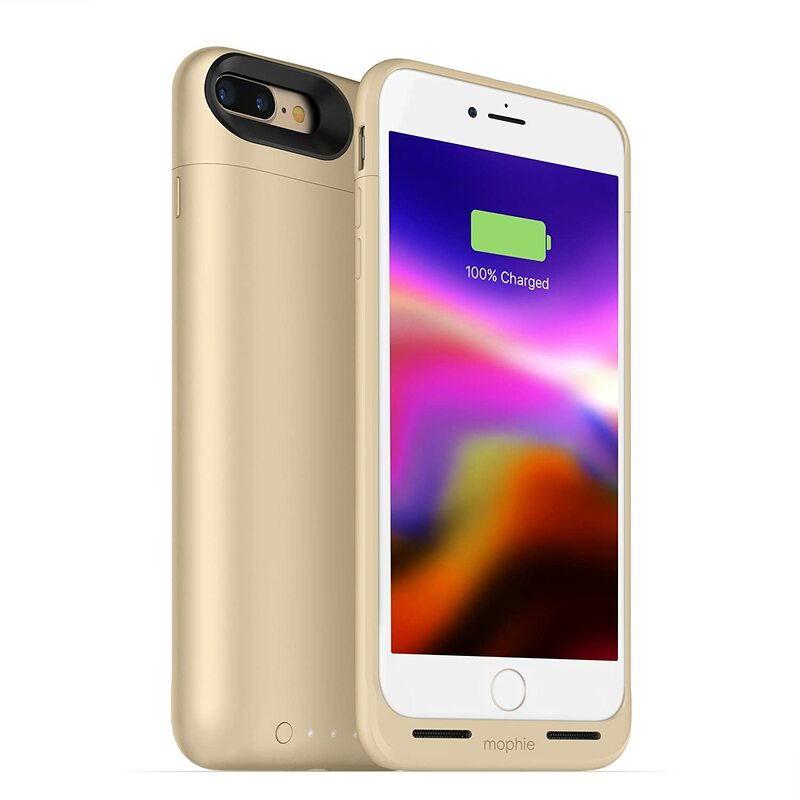 On a full charge I would only get like 30-40% charge and only after a 2 weeks the thing won’t even charge my phone. A couple of weeks in and LOVE this case. 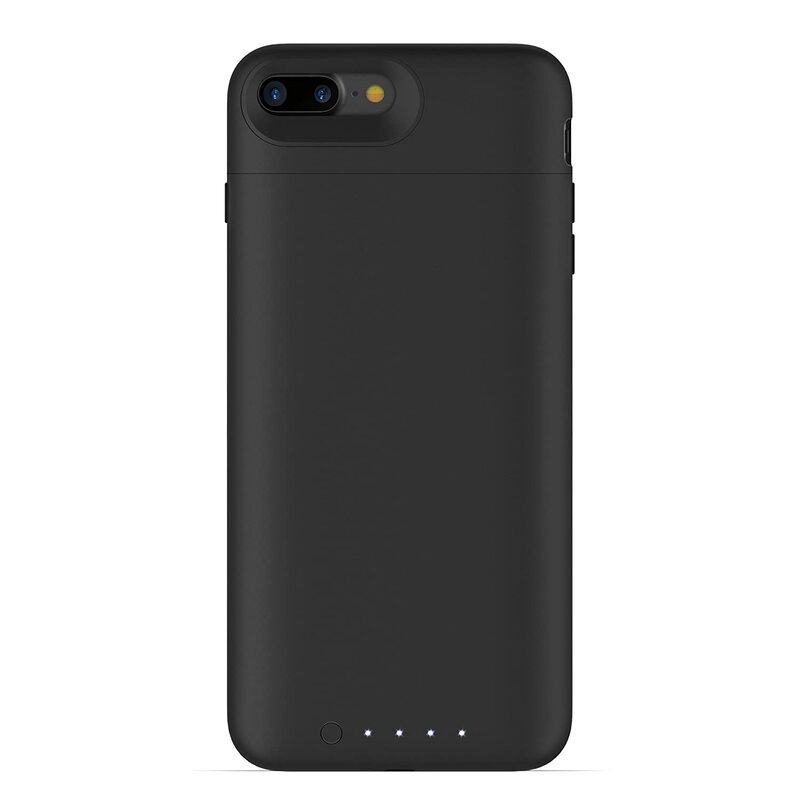 Yes, it is a little more expensive than other iPhone 8Plus battery cases, but after some serious due diligence I just felt more confident in purchasing Mophie. I paired it with the Mophie wireless charger and love the combination. No drops so far as this case is a little more tactile/grippy than prior plastic cases I have used. The best part is never running out of battery during the day. 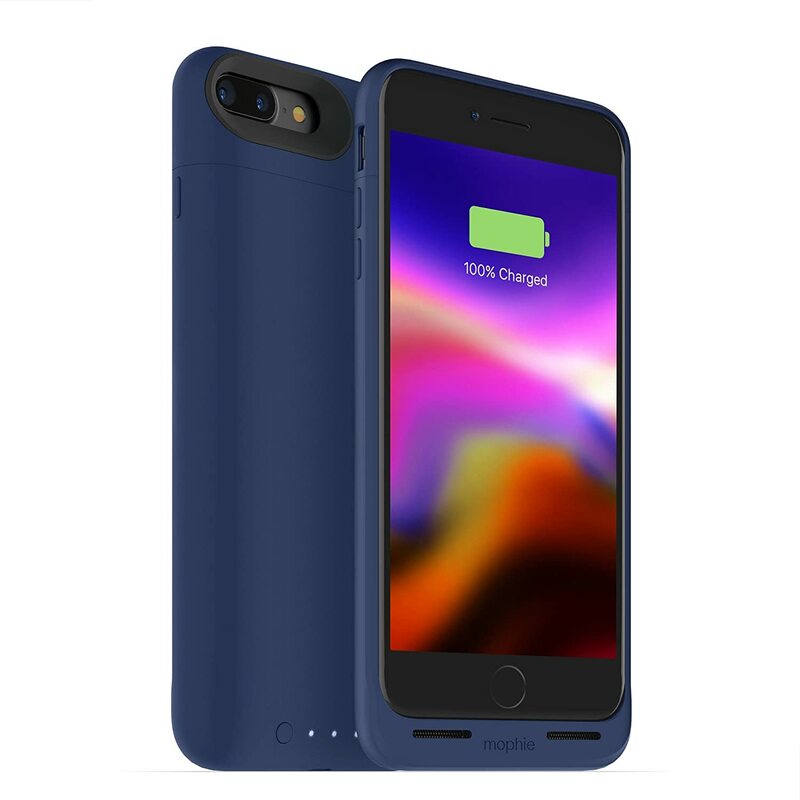 Note that, as with most battery cases, you will lose access to your lightning port (absent removing the phone from the case), but that’s no big deal if you have wireless Bluetooth headphones (which most folks do these days). Would definitely buy again. It works perfectly for iPhone 8 plus. 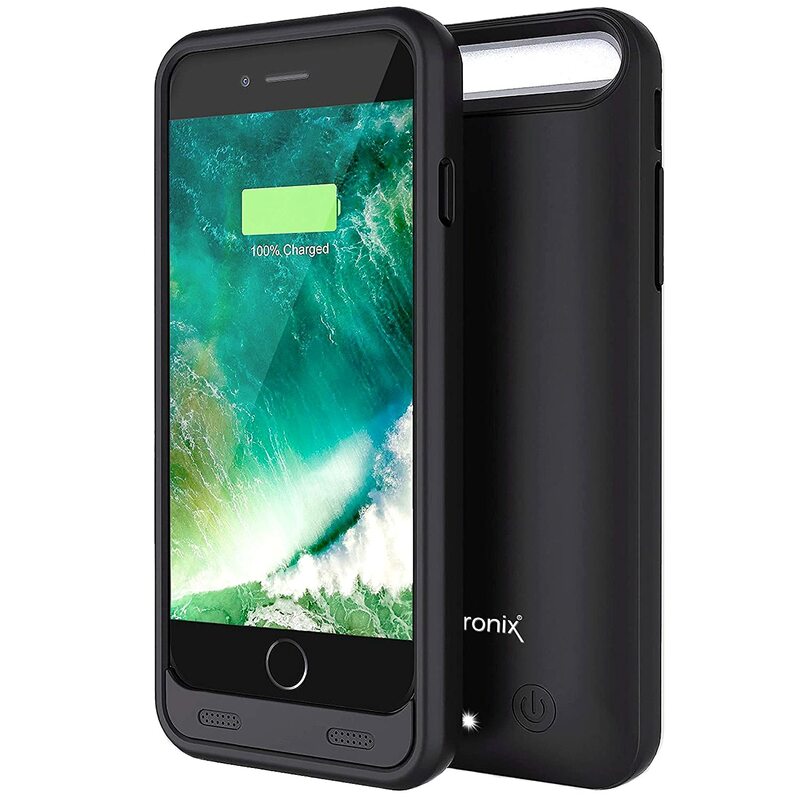 It extends the battery so much, sometimes I don't have to charge it at night. 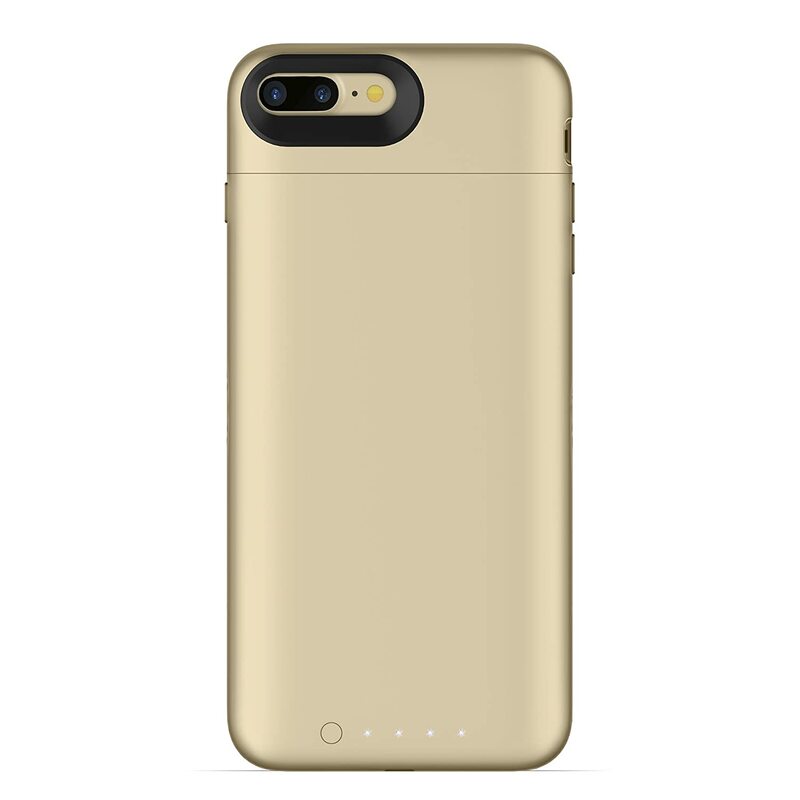 The case is great for charging.... HOWEVER BEWARE that if you drop your phone from any distance this case WILL NOT protect the phone from shattering. I am very careful with my phone and it accidentally slipped out of my hand as I got out of my car and fell less than 2 ft. Everything has been working fine but I decided I wanted a new case. Got it today and took the old case off and to my horror the back of my iphone is totally shattered. 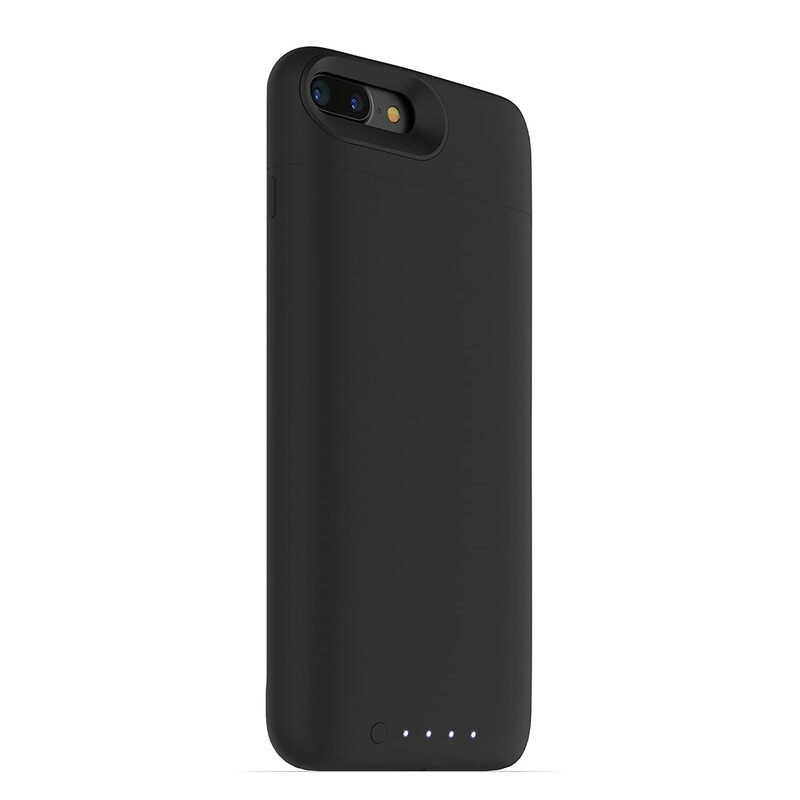 Mophie said that they would give me a $65 credit to use on their website for a new case but that was it. I have NEVER had a phone that was in less than pristine condition when I went to get a new phone and have always received the max rebate for it. Now I can throw it in the trash. I'm totally devastated and disappointed in Mophie. I didn't expect a new phone but a $65 credit for the loss of at least a $200-$300 rebate is an insult. 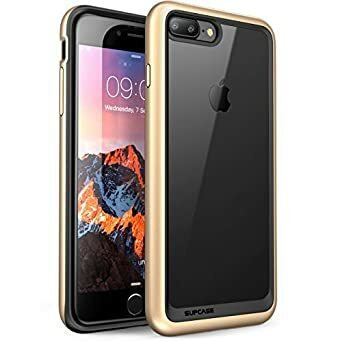 Why would I want to buy a new case from them when the case I had DIDN'T protect my phone. Have wanted one for a long time. But didn't come with the right charger for the case I had to buy one.